I can't believe it's been and gone already! 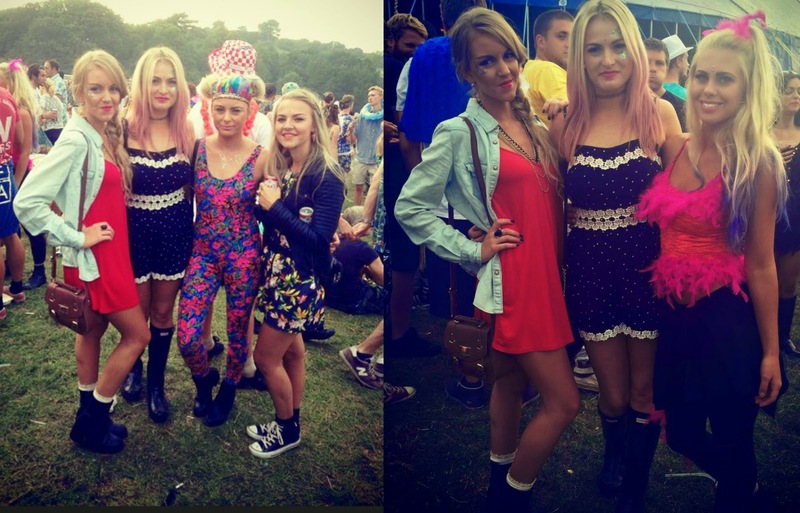 Bestival has come to my home once again and rocked my life for a weekend.... I think I'm still recovering to be honest! 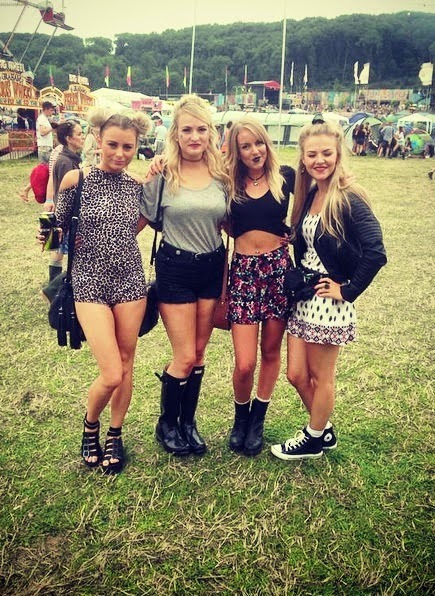 I love Festival's, the atmosphere, the fun the fashion - there is always something to watch and always something to look at! My highlights of the weekend had to be seeing Chic, Basement Jaxx! I also LOVED the Listerine Isle Of White (yes my friend actually believed they had made a spelling mistake) they were doing fab free funky make-up for anyone and everyone plus giving away free bottles of mouthwash - perfect for those hungover mornings and post-stinky food stalls! Not forgetting of course my favourite place - the Sink The Pink tent... I have an obsession for drag! This may be quite photo heavy for you guys but here's what I got upto at the weekend and a little look at me and my pals having a blast! Day 1 : Top & Shorts both from New Look, Necklace from eBay. Relaxing at the main stage with the blondes - Saturday afternoon. Watching Sophie Ellis-Bextor - I have to say her voice live is flawless, I was so so impressed! Obviously we all got up for Murder On The Dancefloor and I loved that she got into the fancy dress spirit! Can't go to a festi without my trusty Hunter's .... I mean they cost enough so I try and wear them at every possible opportunity... aka IOW Festival, Bestival and when it snows haha! 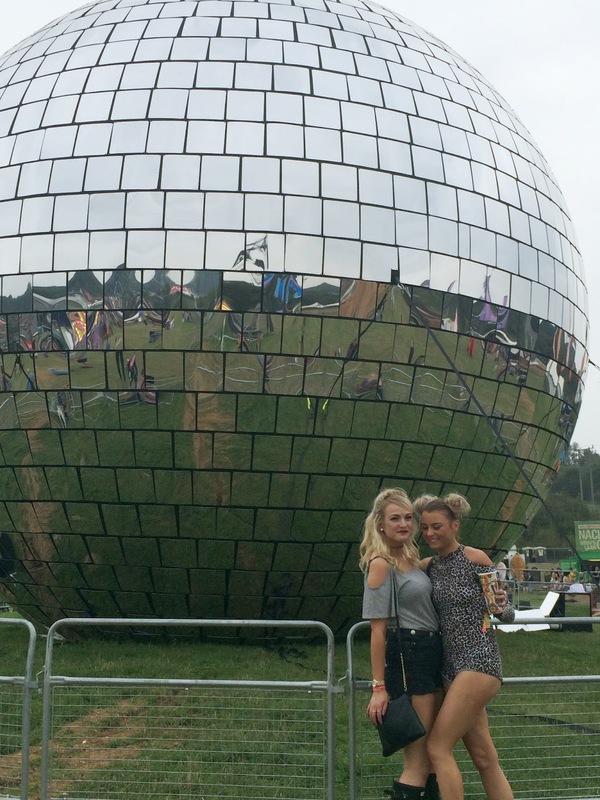 The world's largest DISCO BALL! Post toboggan ride at the port - one of the best parts of the Bestival! 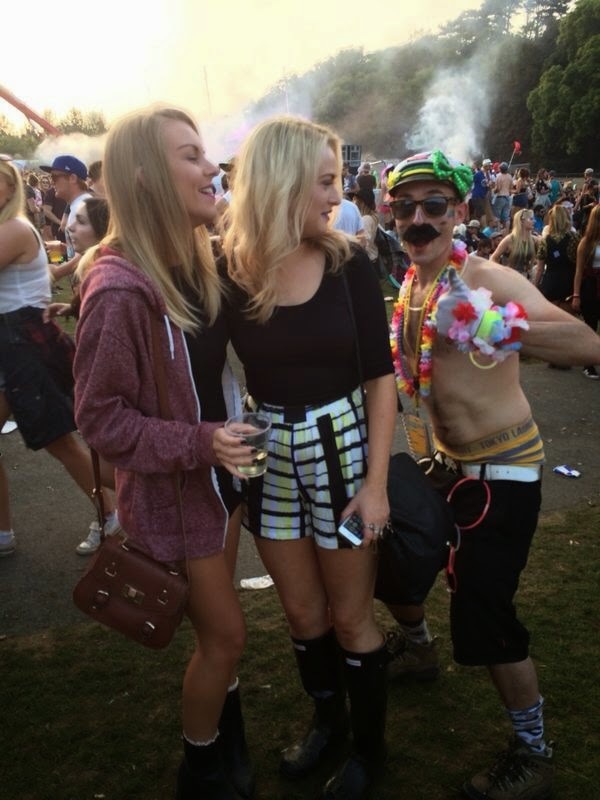 Getting photo bombed! Crop top - New Look, Shorts - ASOS! Thanks again Rob da Bank for an incredible weekend - the Bestival is so well organised with the best types of entertainment aswell as amazing artists! Looks like you had such an amazing time, and I love the pink hair! 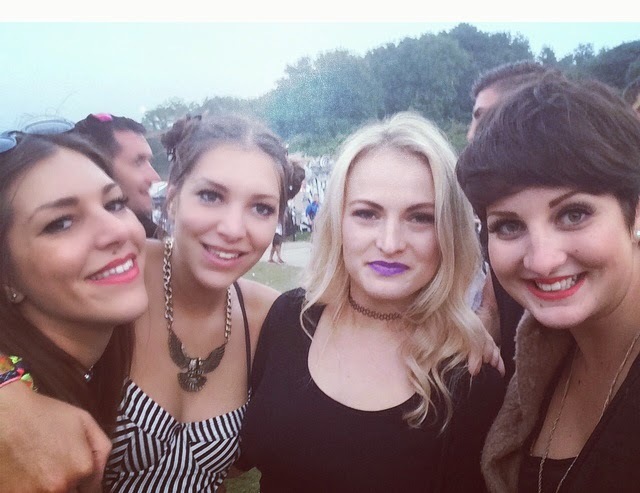 I went two years ago and had the best time with all my uni friends to celebrate finishing; it really is the best festival! Love your glitter!! Little Miss Katy | Fun. Food. Fashion.